I was just able to beat the alarm; it almost seems like a small victory when I don’t have to listen to that damn ruckus first thing in the morning. As I lay in bed trying to figure out where we would go for breakfast, I had Piper flop over to rest her head on my chest. Yes it’s adorable but she does this so often, I know she’s not just snuggling: when I try to get up, she pushes me back down with her head so she can stay in bed longer. Eventually I was able to slide free from the cuteness and get everyone outside for a pee. It was a quick pee because it was cold and they all wanted to get back inside. It seems that my little darlings have gotten soft after leaving the cold north. Jack and Piper were a little sore so it would be short and easy walks to keep them loosened up for the next day or two. A quick search on Yelp and I saw that Momma J’s was only about five minutes away and was supposed to have really good breakfast burritos. I was tempted to take the drive thru but the steady line of cars meant that I would be holding up quite a few people as I tried to figure out my order. Knowing first hand what it’s like being stuck behind someone when you just want your food, I didn’t want to be that person and went in. Besides, I wanted to see what it looked like inside. It looked pretty much like you would expect an old school diner to be. After scanning the menu, I decided to go with the breakfast burrito with green chilli. I had barely finished fixing my coffee when I was handed my bag. They don’t mess around here. I returned to the car and found the windows all steamed from the dogs who excitedly greeted me…or maybe it was the burrito they were happy to see. The burrito was massive and delicious and deliciously massive. I opened the container of green chilli to pour a little taste onto the burrito. The burrito was great without it but now let me try another bite just to be sure. As I picked up the container of chilli, somehow it slipped and I ended up with green chilli all over the centre console of the car. I’m not sure what upset me more: that I now had a mess to clean or that I had no more chilli. Fortunately, I do keep a stack of napkins so I was able to clean up, my tears rinsing everything clean (I’m kidding of course…mostly). You don’t know fun until you’ve had to wipe goopy stuff out from the gear shifter. The dogs were kind enough to help me with the burrito. I’m sure it’s because they wanted to get going. 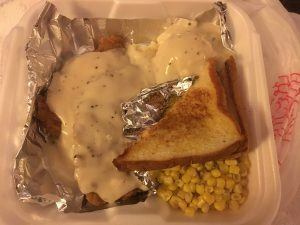 With full tummies, we started the drive out of Amarillo. We had just left the city behind when I suddenly realized that we had missed the Cadillac Ranch since the plan had been to stop as we passed back through Amarillo. I had been so taken with Palo Duro Canyon the day before that I had totally forgotten about it. I debated turning around but seeing as it was early in the morning and the traffic heading into Amarillo was packed, I just chalked it up to a loss. Besides, we can always make the trip again. 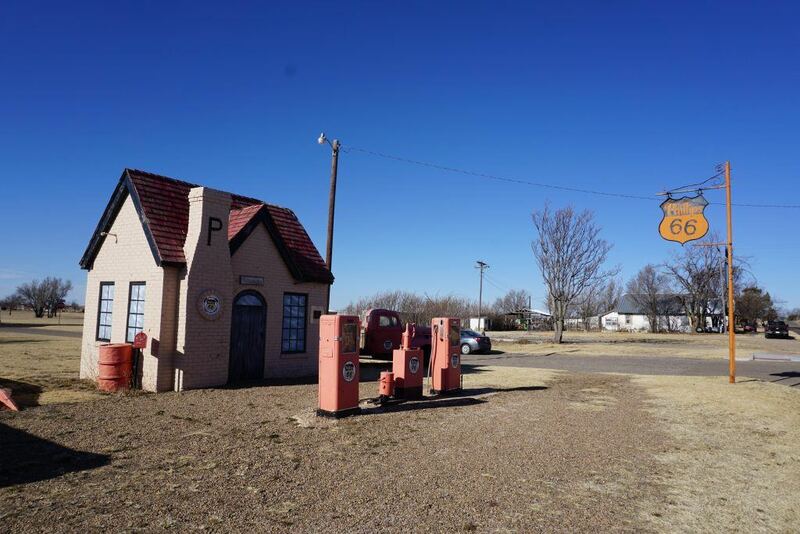 Driving east on Interstate 40, I saw a sign for a Route 66 attraction as we approached McLean, Texas. This is one of the sections of Route 66 where the interstate covered the old highway but they built exits for the attractions. I guided the car off the highway to see what was left from the Mother Road. 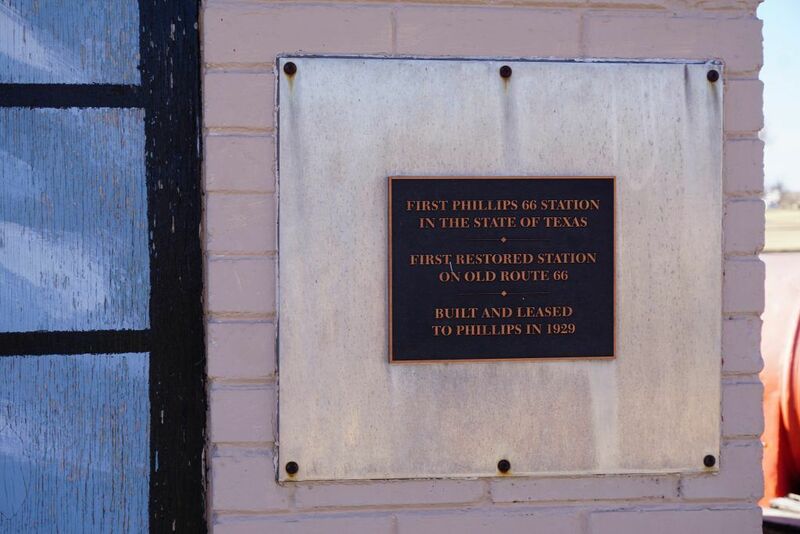 We found the old Phillips Gas Station which was the first Phillips 66 gas station in Texas and the first restored gas station. Since it was right on a road, I left the dogs in the car while I took some photos then brought them out to have a run in a nearby open space. Once they stopped running around, we all piled back into the car to continue east. There had been signs for the Devil’s Rope Museum and I was really curious about what that was. We found the museum and realized we had arrived too early as it was not yet open for the season. By the way, devil’s rope is barbed wire. I had no idea it had a museum of it’s own. 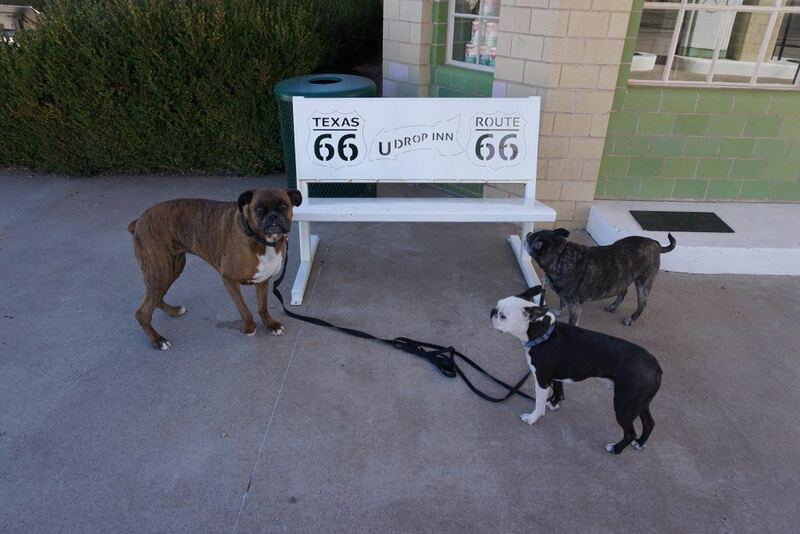 We hadn’t gone far when we saw another Route 66 sign at Shamrock. The Irish in me just couldn’t resist stopping at a town called Shamrock anyway. 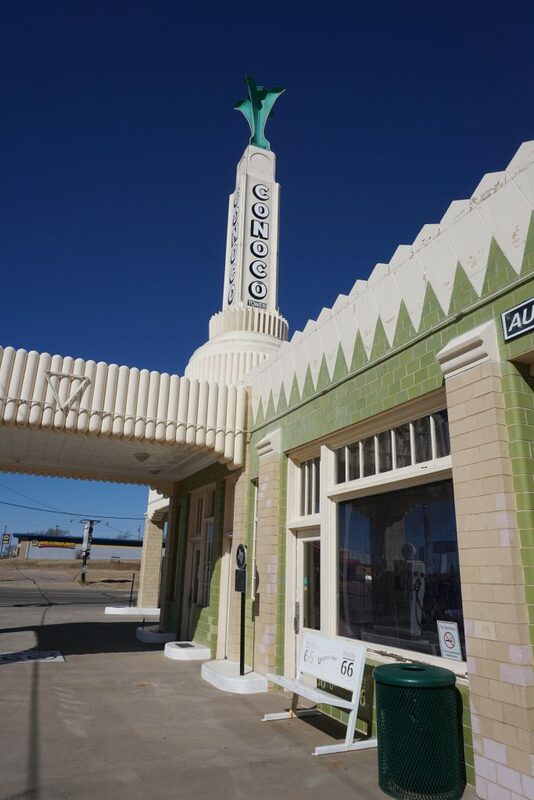 There was no need to go searching for the attraction as the Conoco gas Station, also known as U-Drop-Inn, was pretty obvious. 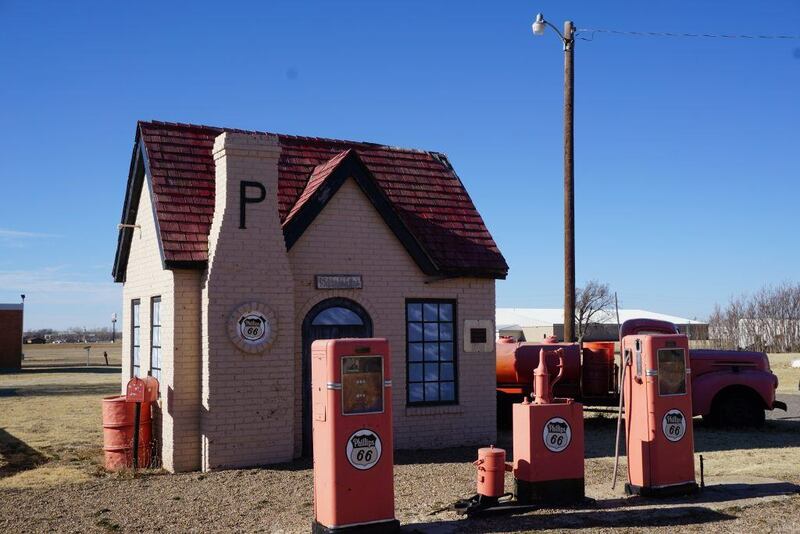 It no longer functions as a gas station but as a visitor centre and gift shop. When I stepped up to the door, I saw a sign that said it was dog-friendly. You better believe I turned around and went right back to the car for the dogs. It was cool enough that they could have stayed in the car but why not give them some social time? We sat with the women working the visitor centre and I got to hear so much about the town and the people living in it, it was amazing. I felt like I was living a soap opera. Alas, the time came to leave and after I bought a few little things for my nephews, we jumped back on the highway. 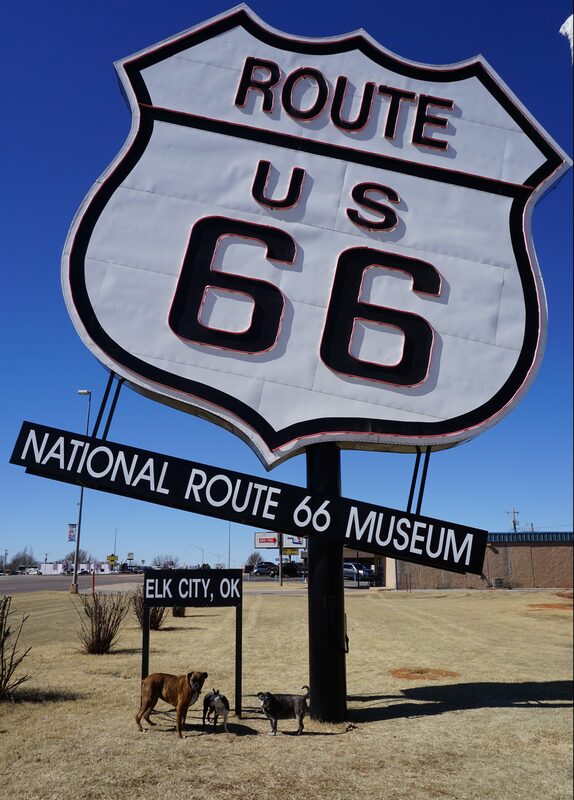 We had crossed back into Oklahoma when another Route 66 attraction sign caught my eye as we were nearing Elk City. 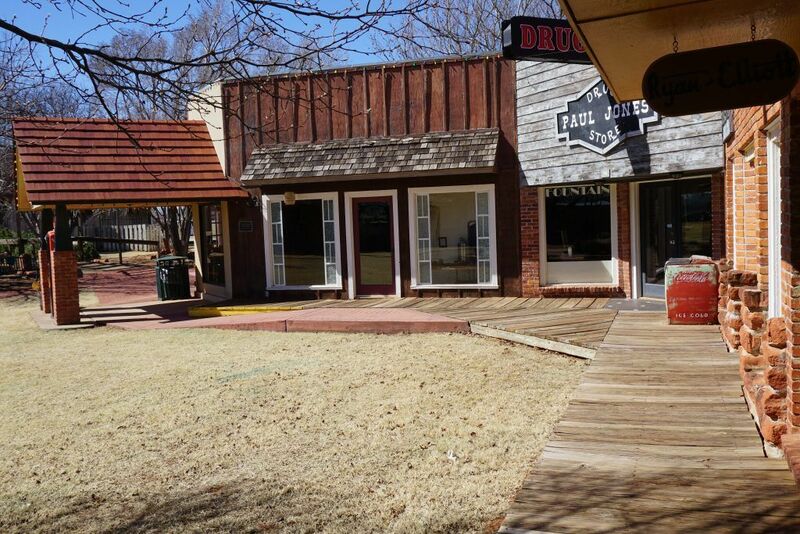 The first thing I noticed was the giant Route 66 sign at the side of the road for one of the many museums. Unfortunately the dogs were not allowed inside but there was a little town that had been recreated behind the museum so we wandered through there, stopping to look in all the shops, some complete with kind of creepy mannequins. I don’t remember why I left the interstate in Clinton but I’m glad I did because we found the Route 66 Cafe. Feeling a bit peckish, I wandered in for something small and ended up leaving with a steak sandwich and onion rings. Whoops. The steak sandwich was really good and the onion rings, while similar to the other ones I had eaten in Oklahoma at Okie Annie’s, were much better. I sat outside on a low wall and shared the steak sandwich with the dogs. I had parked near the staff smoking area and the dogs got to visit with a bunch of the employees working at the cafe. It’s amazing how much of a connection dogs can can instantly create between people. We bypassed Tulsa and continued along the highway. 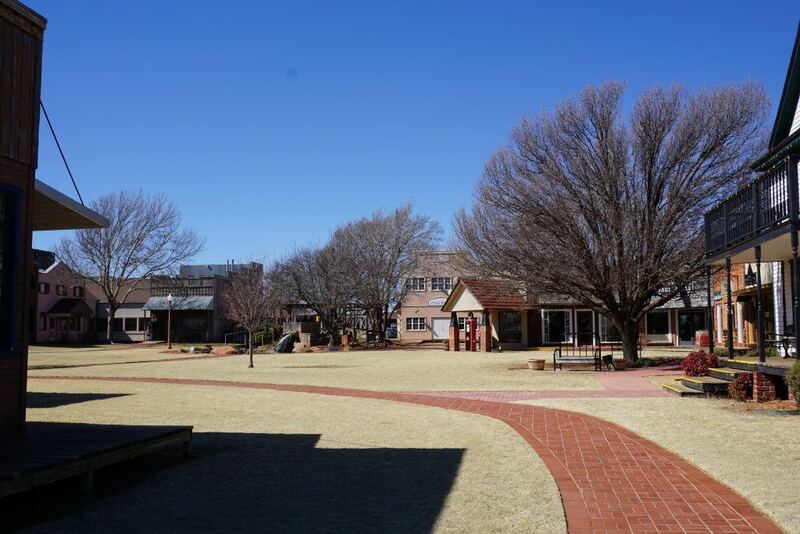 As it was still quite cool, camping was not an option so I started looking for a place to spend the night and settled on Carthage Inn in Carthage, Missouri. As I was checking in, I asked the gentleman for recommendations for places to go to eat, the kind of place that the locals would go for Missouri food. He laughed and told me that he’s a vegetarian and not the best person to ask but Iggy’s Diner down the road is popular. I quickly checked the room to make sure that we would indeed be spending the night, and then drove the few minutes to Iggy’s. If it was nicer out I likely would have walked since it is that close but it was dark and cold and the dogs might be tired from all the hiking the day before…yeah…that’s it. 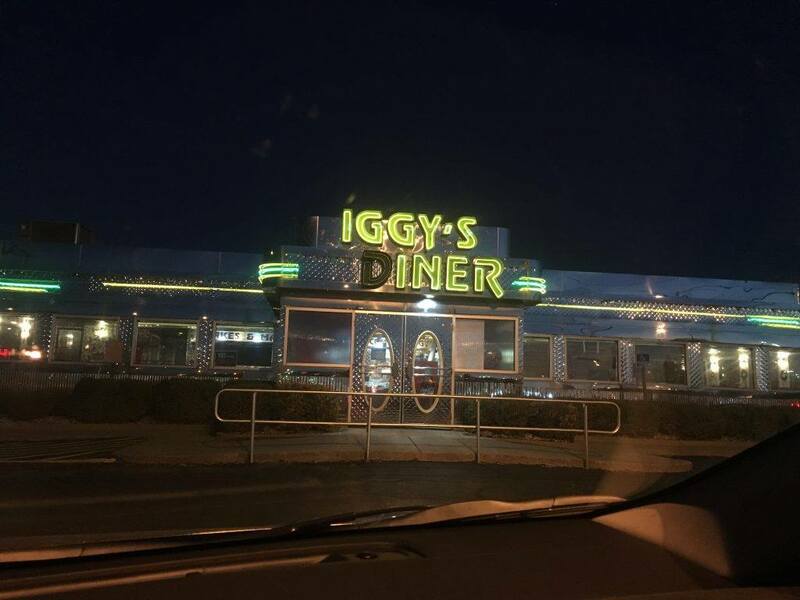 Iggy’s Diner looked like it had be transported straight from the 1950’s. I loved it. When I sat at the counter and looked at the menu, my road-weary brain just couldn’t figure out what I wanted so I told the young woman who was helping me to just pick something. Don’t tell me what, just order something. The look on her face was priceless: mix of confusion and horror. She went and asked other people for advice and then went and put in an order. As I waited for my surprise meal, an older couple sat down at the booth behind me. We ended up chatting when we learned that we were all Canadians passing through town. They were from Winnipeg which is where my grandparents live. What are the odds of that? Finally I was handed a heavy bag of food and returned to the car. The dogs completely ignored their dinner and were intent on helping me with mine: chicken fried steak, mashed potatoes, and corn. Oh my goodness. It was fantastic. Stuffed and content, we curled up on the bed and went to sleep. If you want to read about the adventure from the beginning, start here.